On the 14th of April 2005, a fan of the Boston Red Sox swiped at Gary while leaning over Fenway Park's railing as the fielder attempted to catch a ball. After swinging at the fan with his glove, Sheffield threw the ball towards infield and entered into a skirmish with the fan. Although the fan was drunk and thrown out of Fenway Park, Sheffield received a fine for his part in the incident. During an interview in July 2007 with Real Sports of HBO, Sheffield remarked that Joe Torre – the manager of the Yankees at the time – treated players of African-American descent differently as compared to the way he dealt with white players. 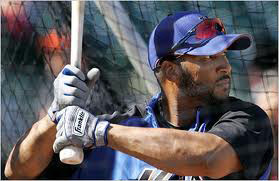 He also famously commented on his then Yankees' teammate Derek Jeter saying that he wasn't "totally black." 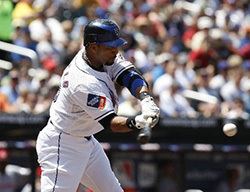 On the 19th of September 2008, Gary Sheffield walked to first base after being struck by a pitch from Roberto Hernandez – the pitcher for the Cleveland Indians. When Hernandez flung the ball to first base, Sheffield and he got into a heated exchange of words. Soon Sheffield was charging the mound as he attempted to tackle the pitcher. However, he was headlocked and Hernandez punched him on his head a few times before the fight escalated into a bench-clearing affray. 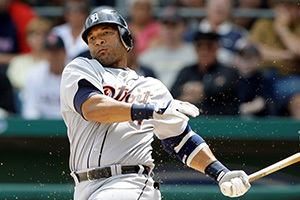 Sheffield and Hernandez were both sent off along with Placido Polanco – the second baseman for the Tigers and Victor Martinez – a catcher for the Indians. On the 22nd of September that year, Sheffield was inflicted with a suspension for four games as a result of his infamous antics a few days earlier. Not only did he accept his suspension, but also controversially remarked that the punishment inflicted on other involved players, who played for the Indians were not enough, implying that he would penalize them as well. Along with the legendary Barry Bonds, Sheffield was working out in 2001 when a trainer applied a cream to Sheffield's knee to help facilitate the healing of his knee surgery. The cream allegedly contained steroids, but Sheffield maintains that he did not know about the cream and its steroid content. He released an autobiography, Inside Power, through which he revealed that he did not use any illegal or banned substances to recover from surgery, stating that his numbers can be checked to look for improvements, if any, post the incident. Regardless of his antics, Sheffield will be remembered for his commitment to the game. He currently works as a sports agent.